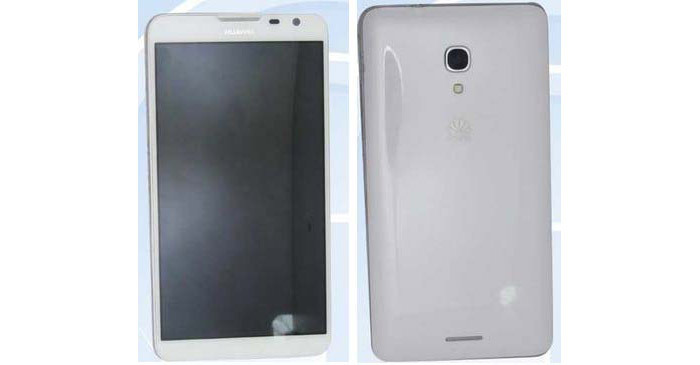 The tech specs and the first pictures of the upcoming Huawei Ascend Mate 2 smartphone have made it online thanks to the efforts of a Chinese web site. According to the information published by the web site the new company product will have a thin and light chassis that will measure 61 x 84.9 x 9.54 mm with total weight of 202 grams. The Huawei Ascend Mate 2 will be available in black and white and will have a 6.1-inch display at 720p resolution (1280 x 720 pixels), an in-house Huawei HiSilicon Kirin910 processor with four computational cores (ARM Cortex-A9) and integrated Mali 450 graphics. The smartphone will also have 2 GB of RAM, 16 GB of internal memory, a microSD card slot (up to 64 GB), a rear 13 MP camera, a front 5 MP camera, Bluetooth, Wi-Fi, a FM radio, a GPS receiver and a 4050 mAh battery. The new company smartphone runs Android 4.2 Jelly Bean and makes use of Huawei Emotion 2.0 technology. The smartphone will be launched on the market by the end of 2013.